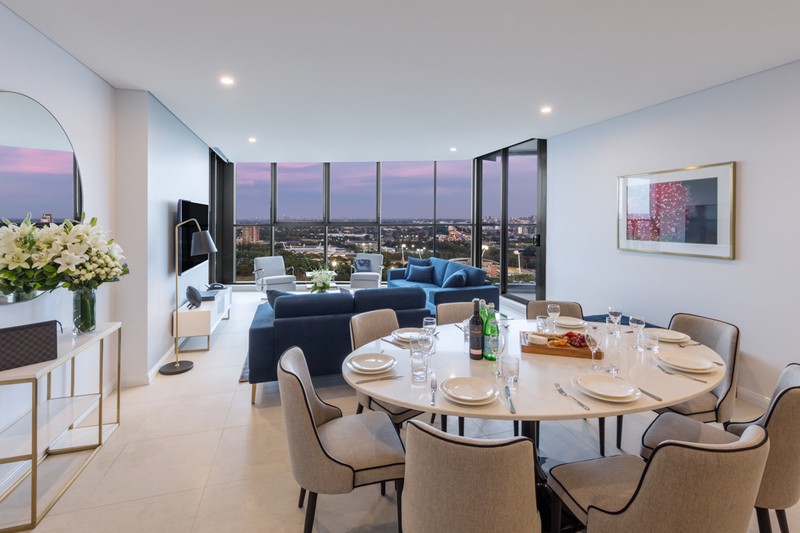 Treat yourself to ultimate luxury and enjoy the sweeping views of Sydney and the Olympic Park precinct. Meriton Suites offers a handpicked assortment of designer bathroom amenities for ultimate luxury. Exclusive to our Penthouse Collection, this delicate selection of amenities is sure to evoke an incomparable sense of wellness throughout your stay. Wake up to the rich aroma of freshly brewed Nespresso coffee at the touch of a button, right from your suite. Exclusive to our Penthouse Collection, each suite includes a Nespresso Creatista Coffee Machine along with complimentary Nespresso coffee pods for your daily dose of quality coffee. Get ready effortlessly with professional ghd styling tools included in each master bedroom en-suite. Equipped for your convenience, the ghd V Gold Max Styler hair straightener and ghd air Hairdryer are sure to help create a salon-style finish on every occasion. Sleep tight and experience an indulgent turn-down service every night throughout your stay. Be welcomed back from a long day into a tranquil ambience, with dimmed lighting to set the mood. Ultimate luxury awaits you at our newly-built 4 Bedroom Medallion Penthouse, offering stunning views over the Sydney skyline.